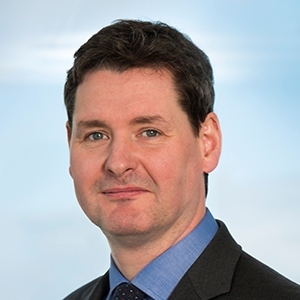 Donnacha O'Connor is a partner and head of the Asset Management and Investment Funds team. He specialises in advice on regulatory and structural issues relating to the establishment and management of all types of investment fund structures. Donnacha has over 20 years’ experience in structuring, establishing and advising Irish regulated investment funds and in providing regulatory advice to financial services firms operating in Ireland. His clients include privately-owned and institutional investment managers representing a wide range of asset classes – including fixed income, equity, credit, hedge, managed futures, real estate, private equity, commodities and insurance linked securities. Donnacha advises regulated financial services and market infrastructure firms – including market makers, multilateral trading facilities, order routers, prime brokers, derivative dealers, investment managers, Alternative Investment Fund Managers, UCITS management companies, investment advisers, fund administrators and fund depositaries. Donnacha has held in-house counsel posts at a hedge fund manager in Paris and a securities services firm in Dublin. A Swiss oil and energy manager on establishing a commodities UCITS. On a UCITS that invests exclusively in insurance-linked securities. A French institutional manager on establishing an alternative investment UCITS platform. A UK institutional manager on establishing a Qualifying Investor impact/socially responsible private equity fund. On establishing an investment fund administrator specialising in the administration of closed-ended funds. On the establishment of a UCITS that invests exclusively in listed private equity. On a number of "SuperManCo." establishments. A Swiss manager on establishing a Qualifying Investor long-only equity fund by way of corporate migration of a Cayman Islands fund. US credit managers on establishing Qualifying Investor funds of funds and feeder funds giving access to the Alternative Investment Fund Managers Directive marketing passport through a structure that mitigates US Effectively Connected Income tax risk. A number of loan origination QIAF funds and non-performing loan QIAIFs. A multi-lateral trading facility on CRD IV’s capital conservation buffer and countercyclical capital buffer. An asset manager on the pension scheme arrangement exemption under Article 89(1) of EMIR. A securities servicing firm on obtaining a derogation from Regulation 22(3)(a) of the European Communities (Alternative Investment Fund Managers) Regulations, 2013, as amended. A Spanish manager on establishing a Qualifying Investor non-performing loan fund. A UK manager on a tail-hedge Qualifying Investor fund. On establishing a UCITS that invests exclusively in listed private equity. "Whenever I want to talk about something quite complex and want a solution, I would go to Donnacha." is "always on the ball and delivers on time"
Donnacha O'Connor is "a go to for difficult questions"
"His view on things really matters. If new guidance comes out, his interpretation and analysis is listened to and is seen as important and persuasive."